Are you getting bored of beating royals in games of chess? 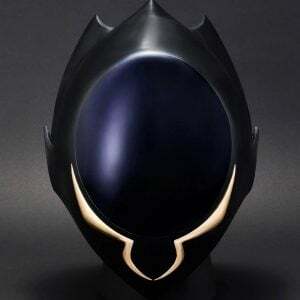 Perhaps you could instead take on the Holy Britannia Empire… This phenomenal and officially licensed replica of Zero’s mask this mask will make a special addition shelf of any Code Geass fan. Let loved ones know where you’re at during long anime marathons with these custom made Studio Ghibli postcards! Each front depicts a scene from your favorite films and on the back is a standard postcard template. These Soul Gems have been transferred into elegant shimmering mirror acrylic necklaces to give daily outfits a touch of Magical Girl appeal. 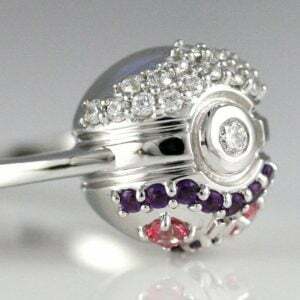 If don’t wear jewelry and enjoy the charms, you can also request them as a phone strap or dust plug! Jiji is the best companion cat you could have! He just hangs around, helping out Kiki. This beautiful rose gold chain necklace from Kiki’s Delivery Service shows Jiji in his natural habitat – hanging from Kiki’s broom. If there’s anything Levi loves more than discipline and cleaning, it’s YOU! Take him with you everywhere you go as he clings to your finger. He’ll keep you safe from titans hiding and doesn’t seem too keen on sharing you with anyone!